Selling is your biggest expense. It can’t be upgraded nor expanded overnight. We also know that growth strategies fail because of poor execution. Your front line team (eg sales) is generally the key failure point. As you execute your growth strategy, it is vital to manage scarce sales resources. You can maximise success by concentrating their efforts on the customers that matter. 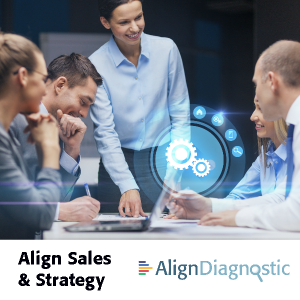 Is there a gap between your sales execution and strategy? Unfortunately, this gap is real for most businesses. It represents a significant risk. Addressing any mis-alignment is critical to avoid missing new opportunities in your sweet spot. This is your target market. Is Your Corporate Story Aligned With Your Go-to-Market Strategy? They know more about how others are using your products. They are more aware of your competitors’ offerings. They are contacting you later in the buying cycle. This is the new reality faced when sourcing new customers or retaining existing customers. Does everyone in your team understand your target market? Are they wasting valuable resources pursuing the wrong customers? If your team understands the target market, you can qualify out of sales situations earlier in the buying cycle, saving time and avoiding futile efforts. How many qualifying decision are still based on past historical reasons? Not paying attention to the changed landscape may risk the long term future of your business. As an example, let’s go back a hundred years ago. There were many suppliers in the coach making and related horse industry. Some of these suppliers such as axle makers and coach-lamp repairers adapted and thrived. Other insisted on developing and promoting better buggy whips. Customers switched to cars in increasing rapid numbers immediately after World War 1. These cars were once seen as smelly, noisy and dangerous but they went onto transform society. Cars changed working and leisure patterns of working class people. Meanwhile, the latest buggy whips remained unsold. One of the keys to thriving amidst disruption is to ensure that the team understands your new goals. And they engage with your revised strategy. To overcome sluggish sales, I see many businesses dialing up frenzied activity. This leads to more meetings, more demonstrations, more promotions, more discounts. In fact, many businesses are working harder than before but have little results to show for it. In contrast, you may be the owner or leader of a thriving business. Don’t let your business get trapped by its past success. Accept that you can’t do everything well. Set clear business goals. To avoid confusion, introduce a measurable objective for each goal. Pick your strategy to help you get to your goals. Effective leadership requires getting off the top of the mountain. Step down into the valley to lead your flock up to the top. Your team needs to buy into your goals. They need to stay involved in the execution of the chosen Strategy. Deeper engagement with the team leads to improved alignment. Focus on a few specific problems that your business solve for customers. Avoid the features that describe your product or service. Which segment of customers will benefit most from using these products or services? How do you differentiate from your competitors? Ensure your value proposition for the chosen product or services will stand out. How well does your team understand this value proposition? Your strategy is akin to the guard rails that help you get up the mountain – to reach your business goal. Be specific on the actions expected from the team to help give energy to drive the execution of the strategy. 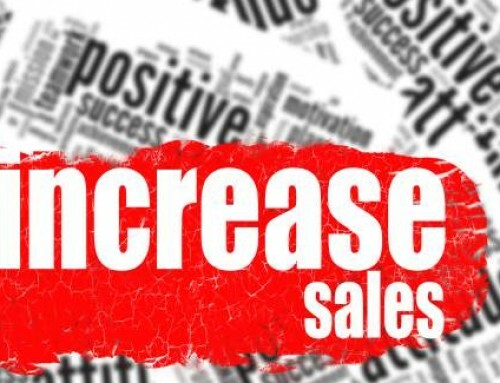 Worked Example: To increase sales, you pick selling more products to existing customers. This is a cross selling strategy. Start with the most fertile ground of your existing customers. The ones that you can access with ease. Identify the relevant and adjacent services that are to be developed for this subset of customers. Specify what trigger points to look out for in the customer relationship. Discuss how the team will start these cross selling conversations. Develop a playbook to help your team plan these conversations. Whilst you are aligning your team aligned with the strategy, we suggest that you look ahead. Pin point the next growth sector for your business. This may be assessing where to open a new store in a fast growing suburb or it may be launching a new service to attract new clients for your business. Remember that you cannot do everything well. To ensure success, pick your strategy. Ensure alignment.